Directions: Take Route 59 north from Interstate 40 in Van Buren and continue 14.9 miles to Natural Dam. 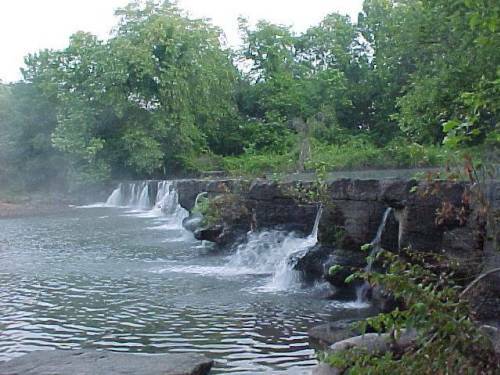 As you enter town from the south, turn left (west) at the sign to Natural Dam and go .1 mile to the falls, which are visible ahead from the parking area. Notes: I went to Natural Dam Falls in Arkansas June 3, 2003. Page last updated 07 Jun 2003.